Losing weight can be a difficult journey that many of us have to take at some point in our lives and the Ultimate Tea Diet, published by Harper Collins, can be a solution to that struggle. This is even better if you happen to already have a love of teas. Many cultures around the world have been drinking tea as a means to cleanse the system and boost their metabolism for many centuries. But what does tea actually do for your body? Despite having nearly the same amount of caffeine as coffee the antioxidant properties of tea is well documented making it a much better choice than a cup of Joe. With all of the antioxidant properties presence in tea it makes no wonder that it can be used to help someone lose weight. It promotes great digestion and circulation. Our parents had it right when we were younger. Stomach aches were met with a warm cup of tea. When we were ill tea was always something that could help soothe us. The same applies to a sore throat. This all helped because of the properties of tea. These three things are what make the Ultimate Tea Diet work. To put it simply your body is stimulated to process fat in a more efficient way at the same time your appetite is being suppressed. These two things combined creates a perfect recipe to promote weight loss. Any type of diet requires more than just "the fad" part of things. This diet does not escape that rule of thumb. Tea certainly contains properties that some consider miraculous, but that does not make this a miracle drug, a cure all or "just drink this" fad sort of diet. There is a lot more than just drinking tea that goes along with this diet plan. You need to be dedicated to your plans to lose weight. Exercise needs to be a part of the diet plan as does eating the proper foods. The Ultimate Tea Diet works on several things. 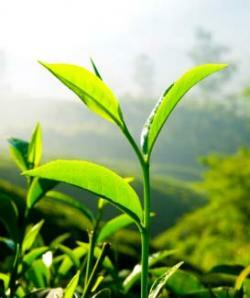 The first is that tea is at the core of the diet plan. It stimulates the body and makes the metabolism work in high gear so you lose weight. 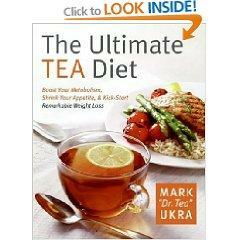 The diet runs for 14-days and you can repeat it as often as you need to, but drinking tea is only a part of the plan. The food part of the diet consists of what you would expect most diets like this would. You have to eat foods that are lower in fat content, higher in fiber and low in carbohydrates. It is pretty much your standard dieting practice. The book includes menu plans for the two weeks but they are just guides. You are free to change them up as you please so that you can continue feeling full while maintaining the high metabolism rate. Exercise is an important part of any diet plan you participate in. Working out two to three times a week is a great way to keep your energy level up, burn fat, create muscle mass and increase your stamina. Support is often a key to the puzzle in people successfully losing weight. Dieting can take an emotional toll and without proper support it can make the process all the more difficult. The book includes many inspirational stories and anecdotes that serve as a way to give the dieter hope.